For thrills and spills, action and excitement, Xscape Braehead in Glasgow is second to none. 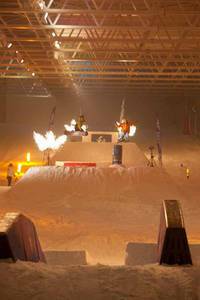 Since 2006, this adventure centre has been teaching Glaswegians and people from all over Scotland how to ski on the 200m indoor snow slope, the �Snozone�, and there are also lessons on offer for budding snowboarders. Other great sporting activities include rock climbing at the Climbzone or the aerial adventure course. For those interested in less extreme sports, visit Paradise Island, the world�s biggest adventure golf complex or have a go at the soccer circus. Within the Braehead Xscape complex, there is also a bowling alley, a laser station and an indoor dodgem car track. If you are coming to Glasgow to visit Braehead and the Xscape adventure centre, The Sandyford Hotel in central Glasgow is conveniently located close to public transport and the M8 motorway. The standard of comfort of the 55 quality rooms at our hotel is in contrast to the affordable prices on bed and breakfast offers. The reception at The Sandyford Hotel is open 24 hours to cater to your needs and the B&B accommodation includes a full Scottish breakfast. Why not take your family on a fun trip to Xscape very soon. To enquire about available rooms, please call us on (+44) 0141 334 0000 where our friendly reception staff will be on hand to answer your queries. 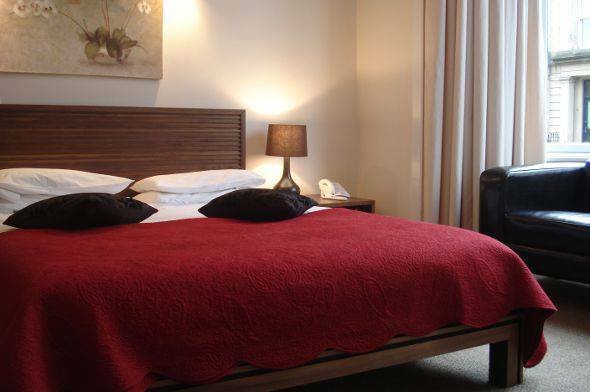 You can also make a booking enquiry or reserve one of our cheap rooms through the website, with the help of the online booking form. We look forward to hearing from you.